Not only is this recipe easy to make it is fast too. It can be on your table from start to finish in less than one hour. Perfect for that special Sunday dinner where you want to serve soup before the meal or serve it for lunch along with a salad or a sandwich. Heat it up and take it to work in a thermos. 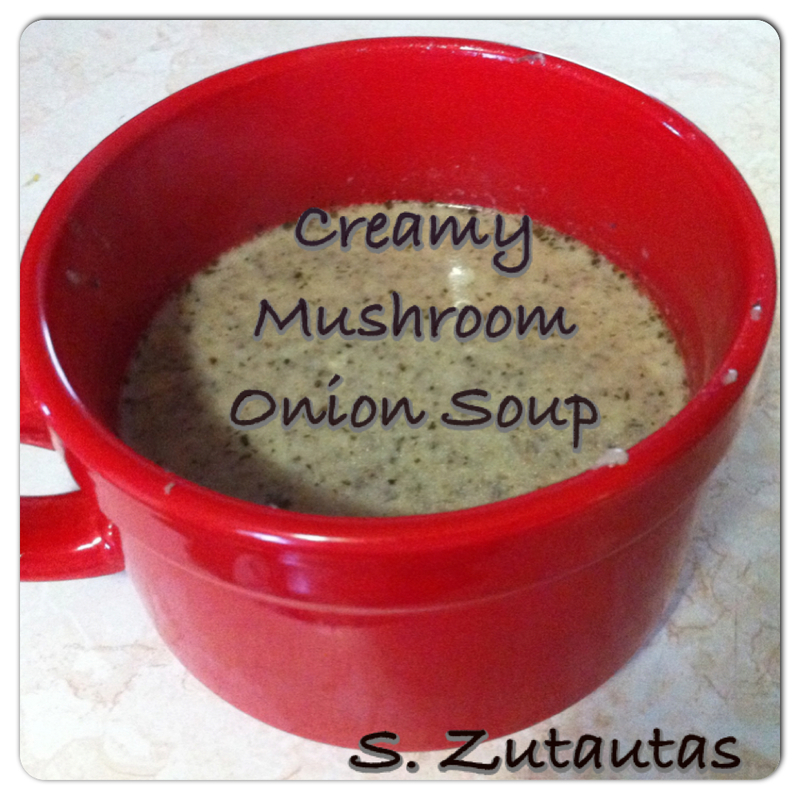 Often I will make a double batch of soup and freeze it into portion sizes so that hubby can a hot soup for his lunch. In a medium size pot or Dutch oven melt 2 tablespoons of butter. Add sliced mushrooms along with the diced medium onion and sauté until the onions are soft along with the parsley. Add 3 cups of chicken, vegetable broth, or water. I used chicken broth. Let this all simmer for 20 minutes. In a medium size microwave and oven safe bowl melt 2 tablespoons of butter. Once melted whisk in 2 tablespoons of flour and then slowly add 1 cup of table cream or milk. Add the small diced onion along with the 1/2 of a bay leaf. Place into the preheated oven for 20 minutes. Over a bowl drain the broth in the pot from the vegetables. Pour the broth back into the pot. In a food processor or blender add the vegetables (mushrooms and onions) and chop and blend. Set aside. Carefully remove the bowl out of the oven and pour while whisking into the broth on the stove. Do not boil. Set the temperature dial at medium heat. Carefully add the vegetables to the pot and stir. Heat until desired temperature is reached. Add paprika, salt, pepper, and top with chives or fresh parsley. Is this a recipe you'd like to try?